A notable phenomenon has been noticed by www.BlenderNews.org, while contacting potential nominees for the Render of the Week Award or artists for 'Architectural/Product Visualization in Blender' series. 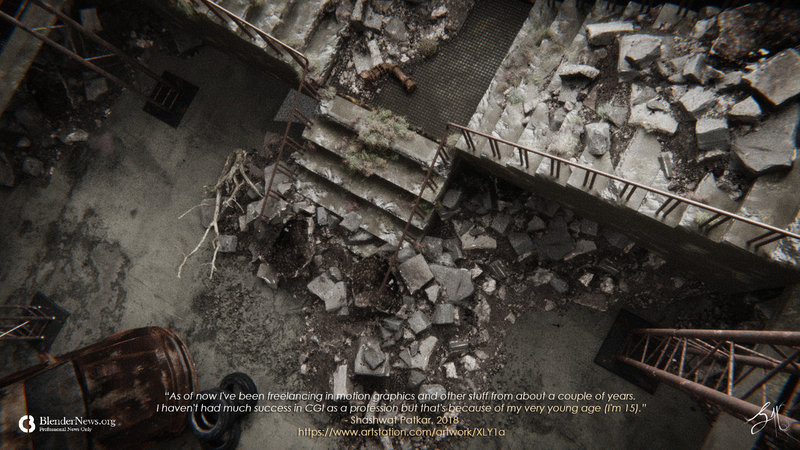 Some of the creators of amazing or professional quality renders turned out to be young people still in high school! It turned out that this is not an isolated incident. Should they and their works be dismissed, since the Render of the Week Award or the 'Product Visualization in Blender' series or are for adults who can "afford" to work as freelancers and studios? Back in 2012, some of them have been introduced in an article entitled "Blender Whiz" and it was decided that "Blender Whiz." would be featured as a series, whenever such talented young artists are discovered. Ever since 2012, some of the talented young artists featured in the series have even grown up to be a well known Blender artists and tutorial creators! As such, Studios and directors, keep your eyes on these young talents as your potential future employees! So, it is with great pleasure that www.BlenderNews.org introduces to you Krystian Niemiec for his work "Attic Workspace." 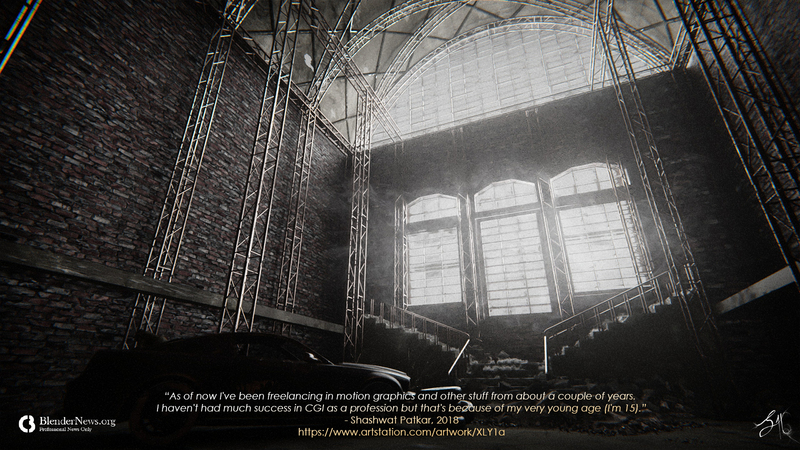 My name is Shashwat Patkar, I'm an Indian artist who likes to recreate 3D environments. As of now, I've been freelancing in motion graphics and other stuff from about a couple of years. 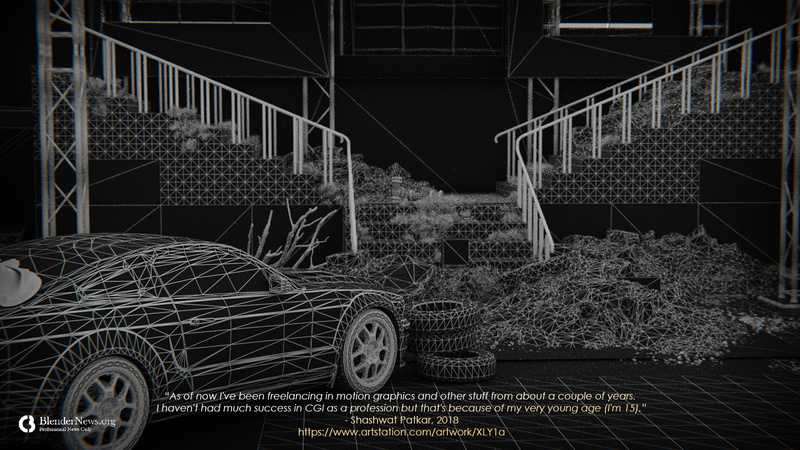 I haven't had much success in CGI as a profession but that's because of my very young age (I'm 15). I always wanted to create one of those apocalyptic scenes and this was a concept I ran through. My workflow doesn't have a particular pipeline and I get a particular subject and dwell upon it. 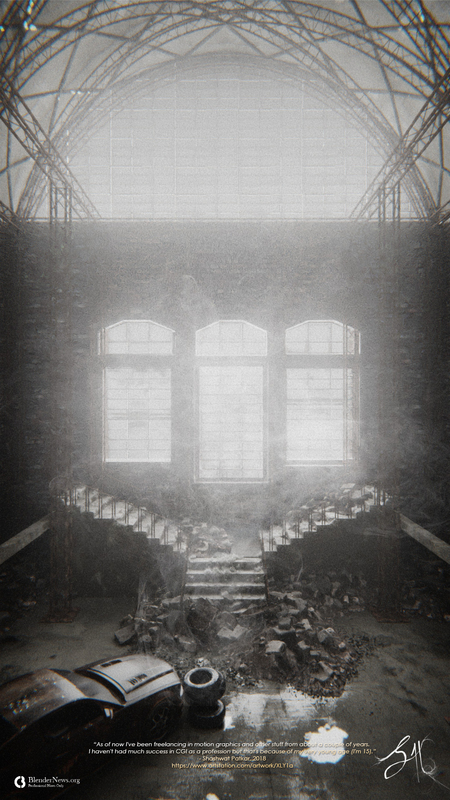 I saw a few images on Pinterest spent a few nights creating an image in my mind and just went ahead and made it in CG. The most difficult part for me in this project was the debris which took weeks for me to find a way to look acceptable. This article was released, thanks to the kind permission of Dr. Prasann Patkar--the legal guardian and the father of Shashwat.